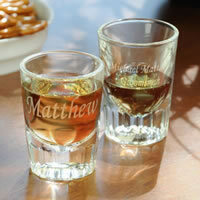 Groomsmen and Best Man gifts for your Gatlinburg and Pigeon Forge Wedding! 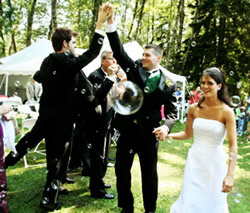 Plan your Gatlinburg & Pigeon Forge wedding with SmokyMtnBride.com - Where Brides Go! ™ ... since 2000! 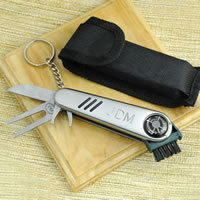 Guys have a whole different approach to gifts ... novelty items, tools, sports related stuff, or just plain 'useful' things are always a great bet. 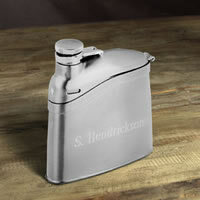 With our huge selection, you are sure to find something unique for every guy in the wedding party! It is an honor to be selected as the groom's best man, therefore it is important to be aware of the responsibilities and customs that go along with it. It is also good for the best man to know how to pick out the right tux since the rules have changed over the years. The best man is theoretically the counterpart to the maid or matron of honor, lending the groom unbridled support and assistance. The best man is usually a brother, relative, or best friend. He is the groom's right-hand man in organizing activities and handling important duties. 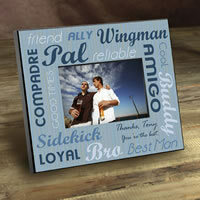 The groom will want to select a best man who is dependable and available to help out as needed. 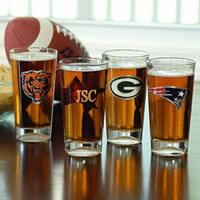 One of the first duties of the best man is to make the arrangements for the bachelor party and select the gift for the groom. 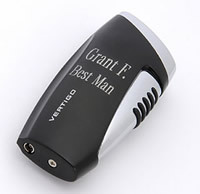 Occasionally, the best MAN will also help with making travel arrangements for the wedding guests and even the honeymoon. He may assist the ushers with their tuxedo rentals. The best man arrives early on the wedding day to offer any last minute support and help the groom dress. He signs the wedding certificate as a primary witness and pays the clergy. After giving the first toast at the reception to the new couple, he dances with the bride and the bridesmaids. Coordinate a shower for the couple with the maid or matron of honor. Pays for his own wedding attire. Transport the groom to the church and assist him in getting dressed. Coordinate the ushers and groomsmen on the day of the wedding. Hold onto the bride's wedding ring until the ceremony. Deliver the clergy fee before or after the ceremony. Sign the wedding certificate as a witness. Stand in the receiving line. Make the first toast to the bride and groom at the reception and read any telegrams. See that the suitcases are loaded into the honeymoon car and that the groom has his plane ticket, itinerary, and traveler's checks. Since the groom's family typically hosts the rehearsal dinner, the father of the groom should speak first, followed by the best man. After that, the floor is open, though toasts should be kept to less than three minutes. Ensure that all family members have corsages/boutonnieres before being seated.